If Dr. Castleberry learned one thing while in the United States Navy, it was that in order to do the best possible job, you need to have the right tools. That’s why our office is filled with some of the most advanced dental technology available today. With it, we’re able to find, diagnose, and treat dental issues even faster while keeping our patients much more comfortable. You’ll be amazed at how quick and easy your dental appointments can be thanks to the latest instruments. Read on below to learn more about them! With our intraoral camera, you’ll finally be able to see your smile from your dentist’s point of view. 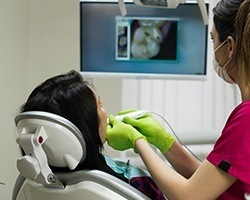 This small, handheld camera fits easily within the mouth, and it can capture high-resolution images of the teeth and gums we can then display on a large chairside monitor. 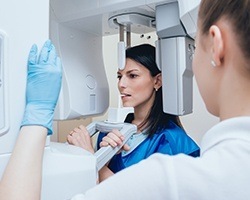 These images will not only make it easier for us to catch dental issues early, but they’ll also help you gain a whole new understanding of your dental health. They also make it much easier for us to explain to a patient why they might need a certain treatment. With this device, we can create a highly-detailed 3D X-ray image of a patient’s teeth, jaw, skull, and surrounding oral tissues. Not only is this kind of image extremely cool to look at, but it also helps us gain a more global perspective of a patient’s dental health. 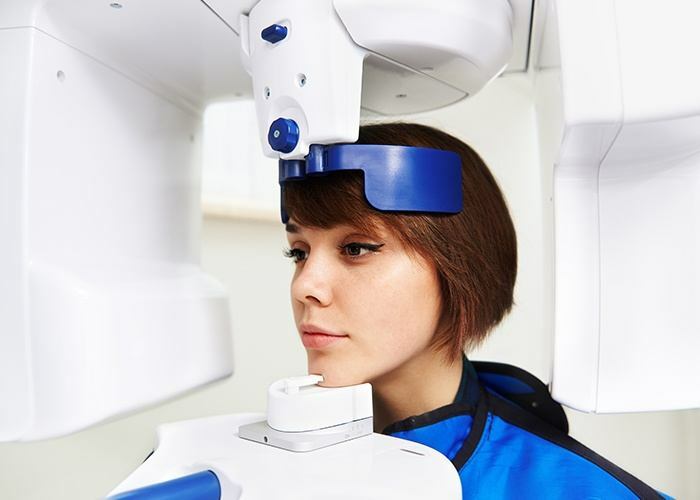 Plus, it enables us to put together extremely precise treatment plans for more involved procedures, such as dental implant placement, so they are both successful and lead to an easy recovery. We use impressions for treatments ranging from dental crowns to Invisalign and more, and thanks to our new digital system, we can now create a model of the teeth without a patient biting into odd-tasting dental putty! 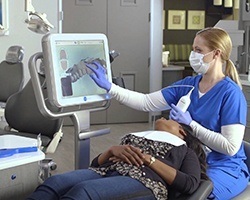 Instead, a small device scans the teeth to create a fully 3D model of the bite, one you’ll be able to see put together while you sit and relax in the chair. This approach is not only faster and more comfortable, but it also yields a much higher quality impression! Using our soft tissue laser, Dr. Castleberry can now perform even the most sensitive periodontal (gum) procedures quickly and painlessly. 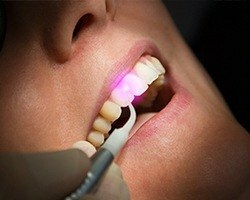 Its extremely concentrated beam of light can instantly vaporize bacteria hidden beneath the gum line, and it can also remove infected tissue without the use of a scalpel. Even better, this tool can also be used to help patients dealing with an overly “gummy” smile in as little as one appointment!